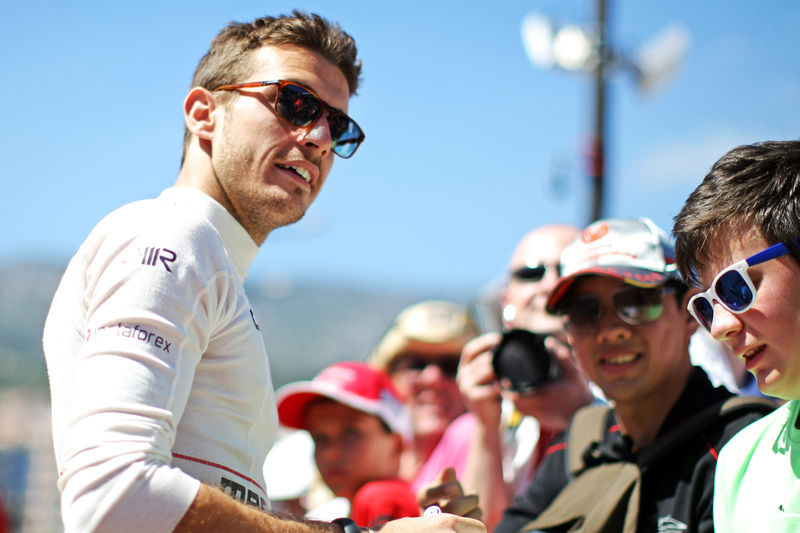 Jules Bianchi scored points for Marussia. © Marussia F1 Team. I did not know Jules Bianchi. In acknowledging that, it is the case that I had met him on a few occasions, but at no stage did I ever know him – there is quite a difference. Over the years, there was plenty of stumbling along as I shadowed a few steps behind the young Frenchman on the motorsport ladder. Upon making my start as an F3 journalist around late-2010 / early-2011, Bianchi had already moved up to the GP2 Series, having won the Euro Series in 2009 with ART Grand Prix. Bianchi stayed with ART for the next two seasons and while he did not attain the success many expected of him, he did put in some wonderful performances and battles, not least against Christian Vietoris with whom Bianchi enjoyed a wheel-to-wheel tussle at Silverstone in 2011. By 2012, Bianchi had moved on to Formula Renault 3.5 Series, just as I was making my first forays into GP2. It was a key year for the Frenchman – just as the leading category of the World Series by Renault gained stature; Bianchi fought an intense title fight with Robin Frijns and Sam Bird, with the Dutchman Frijns winning out in controversial fashion. Bianchi moved on to Formula One with Marussia in 2013, but it was not until a year later that I was granted working access to the F1 paddock. Thereafter we nodded a couple of times and I grabbed a few words from him at the occasional post-session media debrief, but that was it. At no stage was there an opportunity to pull together a long form interview with Bianchi. Truth be told, by the time of my last European Grand Prix at Monza, the Lewis/Nico battle was really hotting up and a tale of Bianchi fighting away at the rear of the field would always destined to be a hard sell. From what I gathered, he seemed like a nice chap, but come my final Grand Prix in Abu Dhabi last year, Bianchi had already suffered his accident and the Marussia team had – temporarily – disappeared from the grid. The opportunity to do something had passed. As much as it pains me to say, but Bianchi’s eventual passing did not come as a shock. Given the nature of his injuries and then length of time he was in a coma, his death – when announced early on Saturday morning – had been robbed of its immediacy. That horrific jolt in the arm had already occurred on a grey Sunday morning in London, as I watched the Japanese Grand Prix in my flat. Don’t get me wrong – Bianchi’s death is a sad, tragic end to a young life, but it did not come a significant shock. Mostly it was a sense of resignation. A finality. One cannot begin to imagine the horror with which the Bianchi family, his girlfriend Camille Marchetti and his friends had felt through those nine months since the crash at Suzuka and I would not even try. It would be arrogant to presume that I could ever touch the grief felt by those close to Bianchi; arrogant to believe that I could ever sense that mourning. That grief could never be mine. Tomorrow morning in Nice, the world says goodbye to Jules Bianchi. Mostly I feel sad that I barely got to say hello. I will miss Bianchi’s abilities behind the wheel of a racing car, no matter how ungamely the machine; I will miss Bianchi’s desire to fight, no matter how small the reward; I will miss viewing the joy upon success and pain in defeat. Most of all, I will miss a future robbed of a potential star.